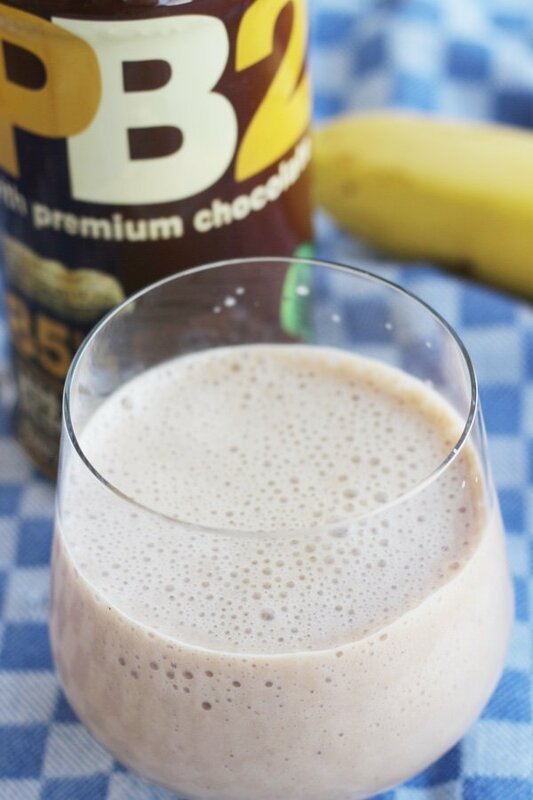 Have you tried a chocolate PB2 smoothie? If you love peanut butter, this may be your new shake. 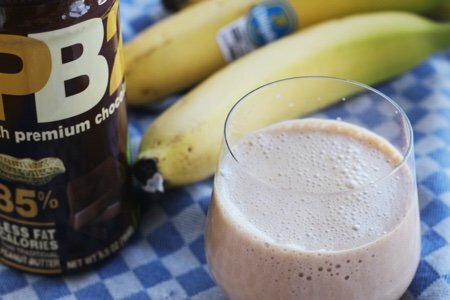 Peanut Butter Banana Power Shake because it is easy to make and keeps me satisfied for hours. But, that smoothie sets me back 400 calories! So, if you are trying to cut calories (which may or may not be a good idea), you should take a good look at PB2 or PB2 with premium chocolate. PB2 with premium chocolate has 85% less fat calories than peanut butter. Two tablespoons of peanut butter is 180 calories and 2 tablespoons of PB2 is 45 calories. That is a HUGE difference. You can look at PB2 as more of a flavoring agent than a food. It comes in a powder form and you can find it next to the peanut butter in the supermarket. If you want to spread it on a sandwich, you mix it with 1 tablespoon of water. PB2 isn’t anything artificial. It is the leftovers from making peanut oil (the oil is extracted and the powder is left behind). I like the chocolate added because I love chocolate. I did not find this smoothie to be super chocolately but I did find it to be delicious. For those of you who hate bananas, simply mix the PB2 into almond milk and drink it. Why even make a smoothie? It is chocolate, peanut, almond milk. Yum! Try my green smoothie recipe if you want to increase your kale consumption. 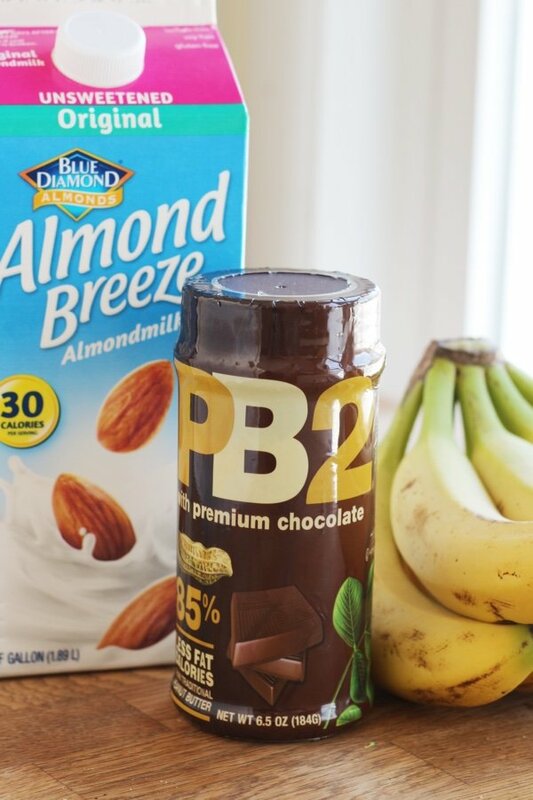 Have you tried PB2? What do you do with it? Put banana, PB2, and almond milk in a blender and blend until banana is pureed and PB2 is dissolved. Enjoy! I always use the PB2 for my morning smoothie. I do the same recipe you do and love it. I assume this would be fine using regular milk as well? My husband is allergic to almonds. I love it in oatmeal. With a little chocolate protein powder & the PB2, it tastes like a no bake cookie. So good! @Kris - yes, it is delicious with cow's milk. I had some almond milk on hand do I used that. Thanks for your question! I checked out your Amazon link and found another brand, ''PB Trimmed'', that appeals to me with the 'non-gmo verified' claim and the PB-Toasted Coconut flavor as well as Salted Caramel! Nutrition data looks the same. Has anyone tried other brands? I found some chocolate almond milk. May try that and it would be double chocolate taste! I like PB2 but dislike the chocolate PB2. 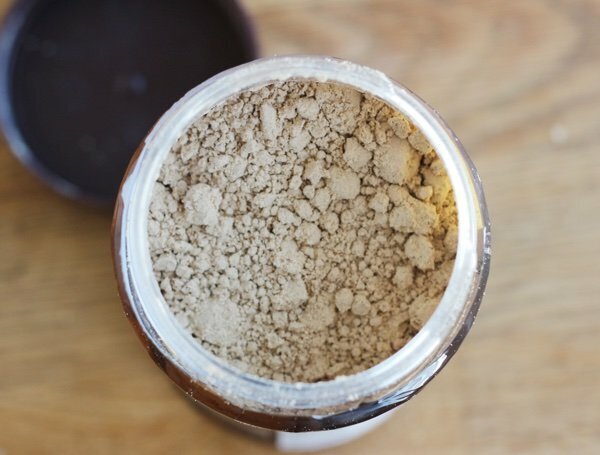 It does not have enough of a chocolate flavor to suit me and when I used it for smoothies I always added additional cocoa powder because it didn't taste chocolatey enough. So seriously I advise buying the regular PB2 and adding a Tbsp or 2 of cocoa powder. It's a nominal amount of calories but tastes better. Thanks for the great tip Rebekah Hamby! And the great recipe Snack Girl! I love PB2 chocolate and regular flavors. I usually mix them with water to make a dip for fruit or make it a little thinner to use as a drizzle over fruit. I often add cinnamon to either flavor for some added zip. I LOVE PB2! My favorite afternoon snack is a toasted english muffin (2SP), PB2 (1SP) and a banana. I make sure to use warm water when I mix up the PB2 and it doesn't get gritty tasting. Best thing invented for all of us that love peanut butter but not all of the calories and fat. I add a tablespoon of cocoa powder which really ups the chocolate flavor. I just found PB & Me Powdered Almond Butter at Bed, Bath, & Beyond today. 2Tablespoons 45 Calories 5 grams of Protein 1.5 grams of fat. I didn't try it yet, but we shall see! I love Chocolate PB2. I add water and sometimes cinnamon. You can use less water to make a dip or more water so you can drizzle it. I love it with apples, bananas, strawberries. Love the ideas from you all who add cocoa powder. I'm going to try that! When you make these ingredients into a smoothie, the WW Smart Points jump to 8. I was going to say the same thing as Anne. Smoothies are configured differently. I got 7 points when I added this up. Even though it technically is 2 points, WW says your body reacts differently to ground up fruit, etc. I see a post here as I don't quite agree with WW on this and would love for you to look into this.